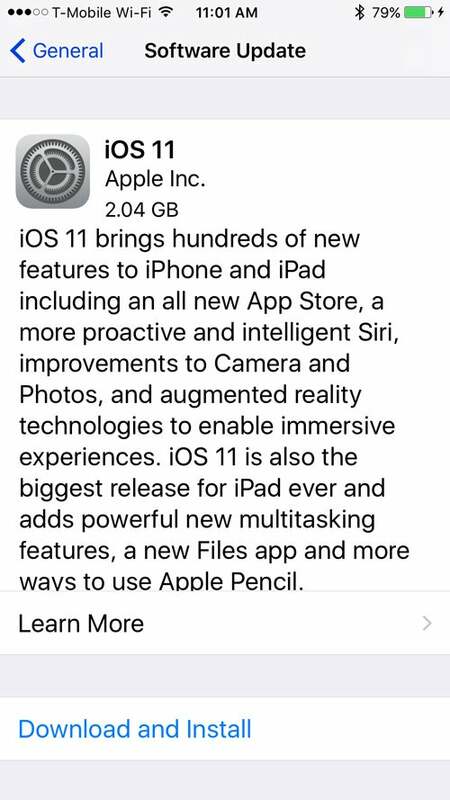 iOS 11 is now available, and you probably want to upgrade. The upgrade process will take several minutes, and you should probably use a Wi-Fi connection so you don’t eat up your data allocation with your service provider. And before you upgrade, it’s important to back up your device. If you sync with a Mac, you can back up in iTunes. You can also back up to iCloud. Also, this version of iOS ditches 32-bit apps for more modern 64-bit apps, so if any of your favorite apps are still on this older standard, they won’t port over properly. To check on your apps on iOS 10 before you upgrade to iOS 11, go to Settings > General > About > Applications, and you’ll get a list of apps that won’t make it through the upgrade process. 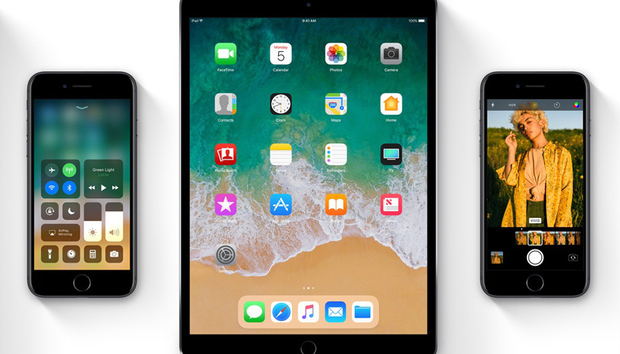 There are two ways to install iOS 11. The first allows you to do it directly on your iPhone or iPad. The second lets you do it by connecting your device to your Mac. Your device will check for an update, which can take a few seconds, depending on the speed of your internet connection. You’ll see the screen below when it’s ready. Note that the upgrade is over 2GB, which is why you should use a Wi-Fi connection. Tap Download and Install. This will take several minutes. Your device will restart and the upgrade is complete. Connect your device to your Mac using the USB cable. iTunes may display the dialog window below. If you want to perform an installation, click Download and Update. iTunes will download the software and proceed with the installation. If you want to download the update but not install it (you can install it later), click Download Only. When you’re ready to install, launch iTunes, and you’ll see the dialog below. You can also click the device icon at the upper left of iTunes (next to the pop-up menu, then click the Update button in the top section. If you click Cancel, you can relaunch iTunes to see the dialog above, or you click the device icon at the upper left (next to the pop-up menu). Then click the Update button in the top section. 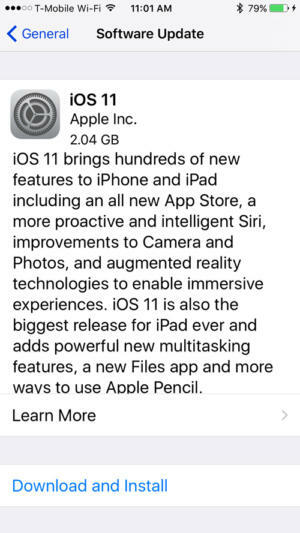 While you’re waiting for the installation to complete, you can read the following articles about iOS 11.